Nespresso, Tassimo Or Dolce Gusto? - Which? Capsule coffee machines are a quick, easy way to make coffee at home, but you're usually restricted to a specific brand of coffee pod - each of which have their own pros and cons. Nespresso, Tassimo and Dolce Gusto may be the best known brands, but there are other options worth considering, including Dualit, Illy and Lavazza. Below, we compare all the main capsule brands and explain what they offer. To get straight to the top-scoring model for your budget, head to our coffee machine reviews. Which coffee pod system is right for you? You'll probably want to choose from Illy, Lavazza or Nespresso, as these brands stick to espresso coffee drinks, focusing on the range of blends they provide, rather than other hot drinks. You can buy a machine from these brands with a milk-frothing option if you're keen on milky coffees, such as cappuccinos and lattes. Love café-style coffees, such as caramel macchiatos, hot chocolate and teas? A Dolce Gusto or Tassimo machine is more likely to suit your needs. Get the full breakdown in our table below, including how well each brand typically scores in our tough coffee machine tests, and which brands are most eco-friendly. Logged-in Which? members can quickly compare key specs and test scores for each brand, including taste ratings from our expert panel's blind taste test. Not yet a member? Join Which? to get instant access. Small range of capsules of varying strengths, plus single-origin coffee capsules. A separate milk frother or a machine with built-in frother is needed for latte-style drinks. Illy capsules aren’t currently recyclable in the UK. 1.Original - uses own-brand and compatible capsules, for a wide range of espresso and lungo (larger coffee) drinks and teas. A separate milk frother or a machine with built-in frother is needed for milky drinks. 2.Vertuo - designed for espressos and longer coffees, no compatible capsules or milk frothing. 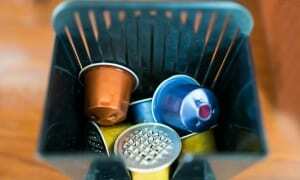 Nespresso capsules can be recycled via its dedicated scheme. Using Nespresso recycling bags, you can drop pods off at Doddle and CollectPlus points, or at a Nespresso Boutique - or arrange for home collection. Some Nespresso-compatible pods are recyclable or compostable, but not all. Small range of own-brand coffee capsules. A separate milk frother or machine with built-in frother / steam wand is needed for latte-style drinks. Lavazza pods aren't yet recyclable, but they do have one compostable coffee pod, Ricco. From September 2019, the whole pod range will be compostable. Uses own-brand capsules, though cheaper compatible options are increasingly available. More than 30 different drinks can be made, including green tea, coffee and hot chocolate. Milky drinks use powdered milk capsules and need two capsules per drink. Nescafé Dolce Gusto pods can be recycled via CollectPlus. Own-brand capsules only. More than 30 drinks, including latte, hot chocolate and tea. Milky drinks require additional UHT milk capsules. Tassimo T-Disc coffee capsules can be recycled via Terracycle, though drop-off points are few and far between. Dualit makes Nespresso-compatible pods, which can be used with Dualit or other Nespresso-compatible machines. A separate milk frother or a machine with built-in frother is needed for latte-style drinks. Dualit pod can be recycled if they are dismantled and cleaned out. They also sell a range of compostable capsules. Information, including total tested and number of Best Buys online, are correct as of April 2019. Colour variations of the same model not included. 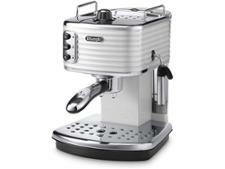 Nespresso machines start from a reasonable £90, although the ongoing cost of capsules can add up. 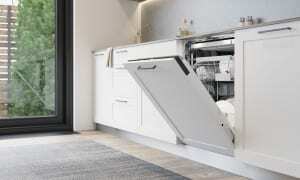 There are machines to suit every decor, and you'll have plenty of options to choose from. Most machines come with the option of buying as a bundle with the Nespresso Aeroccino milk frother, which usually adds around £50 to the price. 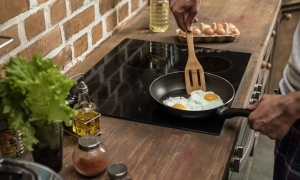 Some pricier models include a built-in milk frother or steam wand. 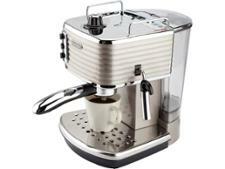 You can get Nespresso machines from a range of brands, including DeLonghi, Krups, Magimix and Sage. Pure origin ranges with coffee flavours unique to their country of origin. Capsules specifically for brewing iced coffees. Interesting flavour combinations, such as licorice, snowball and orange, along with more common favourites like caramel and chocolate. The new Vertuo system uses different capsules and machines that cater to those who like a longer coffee drink. Three different pod sizes. Nespresso pods are only available to buy in Nespresso boutiques or online via the Nespresso website, and you have to buy capsules in sleeves of 10. You can buy Nespresso-compatible capsules in supermarkets and online for most of the 'Original' line of machines, but not for Vertuo capsules. See which popular Nespresso and Nespresso-compatible capsules impressed in our taste tests, including compostable options, in our full review of Nespresso coffee capsules. Simplicity is key with Nespresso machines. Most have few buttons or controls - you simply pop in the capsule and go. Some allow you to select your drink size before starting, while with others you simply press the stop button when the drink is to your requirements. The Vertuo system uses centrifugal force to spin the capsules as the hot water passes through them, creating an extra-frothy crema. Nespresso has its own recycling collection service for its aluminium pods. You’ll need to collect the pods in a special bag provided by Nespresso and drop them off at Doddle, CollectPlus or a Nespresso boutique – or you can arrange a free collection. Nespresso-compatible pods are made by a range of different brands, some of which are recyclable or compostable but few of which have dedicated schemes, and you can’t send them to Nespresso. You may need to dismantle, empty and clean the pods for recycling. See all our Nespresso machine reviews. Dolce Gusto machines are compact and relatively affordable, although, as with all pod coffee machines, the ongoing cost of capsules can sting. There is a range of machines, from compact models such as the Oblo, to design-led models such as the Drop. Most Dolce Gusto machines are made by either DeLonghi or Krups. Trendy coffee shop-style drinks, such as a caramel macchiato or mocha. Exclusive flavours and limited editions available online, including flavoured teas. Options for non-coffee drinkers, including chai tea and hot chocolate. Milky drinks require an extra separate milk capsule, which uses dried milk, as there's no steam pipe or milk frother on Dolce Gusto machines. In 2019, we've started to see compatible pods from supermarkets and other brands. Aldi, Lidl, Asda and Sainsbury's all sell own-brand pods for less, as do some online-only retailers. Dolce Gusto machines use either simple manual controls to start the flow of hot water through the capsule and control the size of your drink, or a digital system. Barcodes on the capsules adjust the settings, and the machine does the rest. Nescafé Dolce Gusto pods can be recycled, but you'll need to dismantle and clean out each pod if you want to put them in your recycling, which is time consuming. Alternatively, you can recycle them via CollectPlus. You’ll need to collect the pods in a special bag, which you can only get by ordering your pods directly through the Dolce Gusto website, then print a label and drop the bag off at your nearest CollectPlus store. See all our Dolce Gusto coffee machine reviews. Tassimo machines make more than just coffee, covering the full spectrum of hot drinks, such as hot chocolate, tea and café-style coffee drinks, with the range of T-disc pods. A full range of coffees, including cappuccino, espresso and latte from brands like Costa, Jacobs and Kenco. Hot chocolate and chai tea. As with Dolce Gusto, the milk and coffee capsules are separate. To make a latte, for example, you use the latte coffee disc first, followed by the milk disc which uses UHT milk. There aren't any compatible pods available for Tassimo, so you're tied in to the branded versions, which limit your options a bit. The capsules use a barcode recognition system: the machine scans the capsule's barcode and adjusts the brewing time, water quantity and drink stream (flow) accordingly. Each T-disc is programmed to complete the cycle with a gust of steam at the end of each drink to remove residue between drinks. So you should be able to follow a hot chocolate with a green tea without danger of flavour contamination. Tassimo’s plastic T-Disc coffee capsules can be recycled if you take them to Terracycle drop-off points (a specialist recycling company), although these locations are run by volunteers and aren’t that widely distributed across the country - so you may have to go out of your way to recycle them. 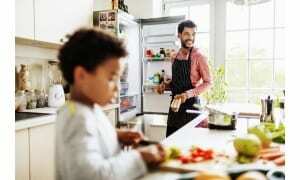 See all our Tassimo machine reviews. Illy IperEspresso capsule machines are for dedicated coffee fans, focusing purely on espresso-based drinks. Illy coffee machines are made by several brands, including FrancisFrancis, Hotpoint and Illy. Depending on the brand and model, some include an integral steam wand or built-in milk frother. The Illy range is much smaller than other coffee capsule systems. It mostly focuses on single-origin coffee capsules for espresso, although there is one lungo pod for longer drinks. Single-origin blends aim to capture the unique flavour of each country's beans. Illy recently branched out and now sells a range of filter coffee style capsules, so you can make a wider range of long-style coffees. Illy claims that the 'magic resides in a revolutionary two-phase extraction process'. Unlike other capsules that are pierced, the flow of water is controlled through a top opening, and the water gradually infuses its way through a compressed block of ground coffee and releases slowly through a filter and hole at the bottom of the capsule, to produce the espresso. Illy capsules aren’t currently recyclable in the UK, so if you are concerned about your coffee habit impacting the environment, they aren't the best choice. See all our Illy coffee machine reviews. 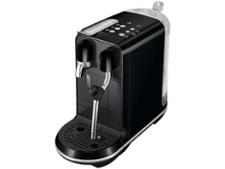 For serious caffeine lovers, the A Modo Mio range of coffee machines is designed to produce only espresso-based drinks. Some machines have a steaming wand or integral milk frother for fans of milky coffees such as lattes. Lavazza, like Nespresso, offers a range of coffee intensities. Its scale starts at an intensity level of 5 and goes up to 13. You can also chose from a couple of single-origin coffees. Lavazza really caters for espresso drinkers, and many of its capsules are designed to be enjoyed black. The whole range is widely available from high street stores and supermarkets, although you can also purchase online. You insert the capsule into the machine, which pierces the upper foil of the capsule and the bottom in several places. The preheated water from the attached water tank is pumped through the pod with 15-bar pressure, flowing through the ground coffee and exiting the capsule at the bottom. Lavazza A Modo Mio coffee pods aren't yet recyclable, but there is one compostable pod - the Ricco capsule - which will compost in industrial facilities (not your home compost heap), so they make a good green option. Lavazza has announced that from September 2019 it’s whole coffee pod range will be compostable. See all our Lavazza coffee machine reviews. Dualit's NX capsules are Nespresso-compatible, so can be used in Nespresso Original machines and Nespresso-compatible ones. Some older Dualit machines require you to pre-pierce the capsules before you insert them, though - as the design has changed over time. Dualit has a small range of compact coffee machines that give the flexibility of using either ground coffee, ESE pods and Dualit NX coffee pods, which you use with a specially adapted portafilter. Dualit NX coffee pods are available in more than 10 coffee blends. Dualit's small range offers a classic espresso, an intense espresso, a lungo and a decaf option. Dualit also makes compostable pods, which are also Nespresso compatible. There is also a range of tea pods. Unlike other machines, you place the coffee capsule into a specially adapted portafilter attachment, which is then fitted into the machine. This can then be switched for a different attachment when you want to use ground coffee for a manual espresso. You can recycle Dualit’s plastic NX pods in your usual collection if you dismantle, empty and clean them out. Dualit also sells a range of compostable capsules. These need to be composted industrially using your local council’s food waste collection scheme (if available in your area). See all our Dualit coffee machine reviews. Now you've got the lowdown on the different coffee pod systems, you can pick the best coffee machine for that system. Head to our coffee machine reviews to find the best machine for your chosen brand. Still not sure what you want? Try our coffee machine buying guide for more on the different types available.